This article highlights the importance of reading terms and conditions, particularly when signing credit or other financial contracts. This article explains how the now popular ‘buy now, pay later’ offers work and how to make sure they don’t create unmanageable debt. It uses a case study and recommends financial guidance to overcome debt problems. A key aspect of the Privacy Act is the way credit defaults are recorded and reported. This article discusses the implications of overdue debt repayments on a personal credit history. It also notes how this can affect business owners. This article highlights the trouble people of all ages can get into with mobile device plans. It includes some tips on managing mobile phones and how to find the best deals and information. You can’t go anywhere these days and not see people glued to some device. Some of us wonder what we ever did without this modern-day “must have”, but love ‘em or hate ‘em, mobile (aka smart) phones are here to stay. With all good things, there can be a downside. The cost of mobile phones and other devices is often not in the purchase but in the upkeep, and as many teenagers are discovering (some too late), smart phones can destroy a good credit rating even before they’ve left school. It is commonly reported in the press that Australians are suffering under growing levels of personal debt. The figures in this article are frightening and with the growing use of the easy “tap and go” technology it may look like it can only get worse. 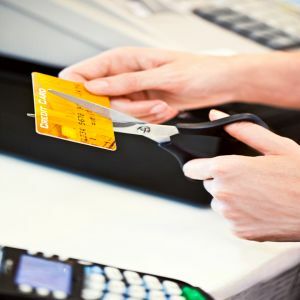 This article provides some simple tips on how to overcome the traps of falling prey to credit card debt. It also recommends talking to a financial adviser to investigate solutions. Talk about hammering the plastic. In July 2018, Australia’s ... million credit card accounts were used to make almost .... million transactions with a total value of $.... billion. Card holders who don’t pay their balances in full every month are currently paying interest on more than $... billion worth of credit card debt. Interest rates range from 10% to 22% per annum so that adds up to billions of interest owing – and growing! Don’t become a statistic - here are some things to look out for plus a few tips. This article tackles the question of lending money to loved ones. It covers a weighty topic in an easy manner while providing practical suggestions and possible alternative solutions. This article uses a story to demonstrate how easy it is to get into credit card debt by relying on a card to fund a holiday. It is targeted towards Millennials but the concept can apply to any age group. The pictures are enticing: ocean blues and hibiscus pinks; white beaches and nightclubs. For twenty-somethings, tropical holidays are rites of passage few can resist; fewer still can afford them – even if we think we can. The Thailand package was only $500, but Simon, having just paid his car rego was broke so he decided to pay for it using his credit card. However, after adding airfares and travel insurance his credit was maxed out before the plane left the ground! Simon’s situation is common. We easily justify using credit for things we know we shouldn’t, but temptation is cruel, often irresistible. Payday loans have become a popular option for paying unexpected bills. This article uses a case study to explain how payday loans work and offers a better solution - seeking professional advice. Payday lenders are flourishing and while their advertising makes it all sound so simple, there’s always a price. Here is a better solution. Sarah decided to replace her clapped-out car with a shiny new one. The repayments were affordable: $350 per fortnight over three years – easy! Going to university is a time of growth and independence, although the associated costs can make it an expensive proposition. Yet as Ben found, there are ways to minimise the cost and kick-start your financial future. This article highlights the incidence of identity fraud and the importance of credit history reports. It explains how to find out what it is and how to improve it if necessary. Handy for your clients who have teenage children as mobile phone bills have a key impact on future lending. If you have borrowed money, whether as a loan or even signed a mobile phone contract, you have earned yourself a credit history. Each time you apply for further credit, the lender will run a check on your credit file to determine the level of risk they take on by lending you money. With the increasing incidence of identity fraud, it’s smart to check your file every year. Don’t wait until a loan application is denied to find out if your history is affecting your future. This article provides an overview of debt agreements and discusses other options available to people struggling with debt. It also recommends seeking professional financial guidance. This article alerts your readers about the perils of not managing credit cards and provides simple suggestions to turn them into an effective money management tool over this coming Christmas. Christmas is a time of giving and receiving, but as we approach this most dangerous time of the year for credit cards, we’d like to give you a quick refresher on the best ways to use your plastic so you don’t end up with a Christmas hangover of the financial kind. This article focuses on using credit cards to take holidays. It provides some simple ideas to make sure holiday memories aren’t tainted by the pain of paying it all back later plus interest. Written in the adviser's voice. Another golden rule we always follow is we have to be able to pay for the entire holiday upfront. This article explores the different types of loans and interest rate structures, and outlines the advantages, disadvantages and considerations to take into account when choosing a structure for investment or non-deductible purposes. The information may seem basic, but a lot of young people still don’t have this knowledge – good for younger clients. When choosing the right type of loan to suit your needs now and into the future, there are many factors to consider. This detailed article outlines three simple solutions for reducing and managing debt, including a case study. The Australian Bureau of Statistics estimates that the average amount of money Australian households owe on mortgages, credit cards and personal loans combined is approximately $.......... per household. In 20...... it was reported that the most common form was credit card debt held by ....% of households. This article provides 6 handy tips (or reminders) for budgeting and other ways to save money. The word “thrifty” is rarely thought of in a positive sense but that’s not fair because if we continually spend more than we earn, our debts will eventually catch up and other words such as “default” or “bankrupt” might become more familiar. Being thrifty doesn’t mean doing without – quite the opposite. Here are six simple tips to build up your savings. A simple plan to take control of “bad” debt, giving the reader a better understanding of the advantages of “good” debt. It includes some astounding statistics that will shock your readers. Australians have an extraordinarily high level of consumer debt. It fuels our lives. For example, there were more than ....... credit card transactions just in the month of ...... 2018 – valued at more than $... billion! ($..... million of this was in cash advances). The scariest part of this equation is accruing interest on outstanding balances. With interest rates ranging from 10% to 22% per annum, billions of dollars are being added to these outstanding balances every year. Banks LOVE credit cards! Please don’t misunderstand; properly managed debt can be a great tool. Most people need it to help them purchase their first house and other necessities in life.